Pupils in disadvantaged areas are more likely to be taught by inexperienced maths teachers or someone without a maths degree, according to a report into the impact of teacher shortages. Key stage five maths pupils at the most disadvantaged schools are almost twice as likely to have an inexperienced teacher than those in the most prosperous areas, research from the Nuffield Foundation and FFT Education DataLab has shown. The former have 9.5 per cent chance of being taught by a newly qualified teacher, compared with 5.3 per cent for the latter. Equally, 64.8 per cent of key stage five maths lessons at the most affluent schools are taught by a maths graduate, compared with 51.9 per cent at the most disadvantaged schools. Schools are much more likely to allocate inexperienced teachers or those without a maths degree to key stage three, particularly in disadvantaged areas, in order to protect the quality of education at GCSE and above. 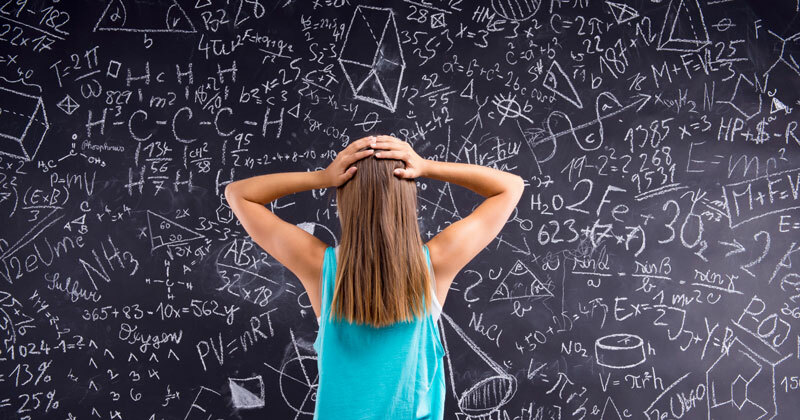 Nineteen per cent of key stage three maths teachers are inexperienced – classed as having under two years in teaching – compared with seven per cent at key stage five. However, this risks “switching pupils off maths at an age when they are forming attitudes to subjects and future choices” and there could be “knock-on effects” if pupils arrive at their GCSEs “ill-prepared from key stage three”. Sam Sims, a research fellow at FFT Education Datalab, said schools are “increasingly saving their experienced, appropriately-qualified maths teachers for the crucial GCSE years” as they face ongoing teacher shortages. Just 44 per cent of practicing maths teachers have a degree in maths, compared with 65 per cent of English teachers with an English degree. The report, which used data from England’s school workforce census, said maths faces particular shortages due to the extra pressure of pupils continuing to learn maths and English until the age of 18, as well as higher private-sector wages for maths graduates. Initiatives to increase post-16 maths participation must come with action to address the teacher shortfalls, “otherwise there is a risk of simply putting more pressure on well-qualified and experienced maths teachers at key stages four and five”. Josh Hillman, the director of education at the Nuffield Foundation, said the shortage is a “systemic problem” and warned that the difficulty in recruiting specialist and experienced maths teachers for pupils in disadvantaged areas “could have an adverse effect on their progression in the subject and their attitudes to it”. “The government should also consider other aspects of teacher recruitment and retention, such as workload, working hours and the lack of options for flexible and part-time working,” he added.